The dynamics between horses and children are so profound and beautiful to witness. Both have an openness and an unfiltered way in which they perceive the world that can provide the ideal context for exploration, learning and growth. To see a child’s face light up when the connection to such a large being is achieved is purely magical. For children, the experiences and memories gained during time spent working with horses provide a rich context for many aspects of navigating through life. 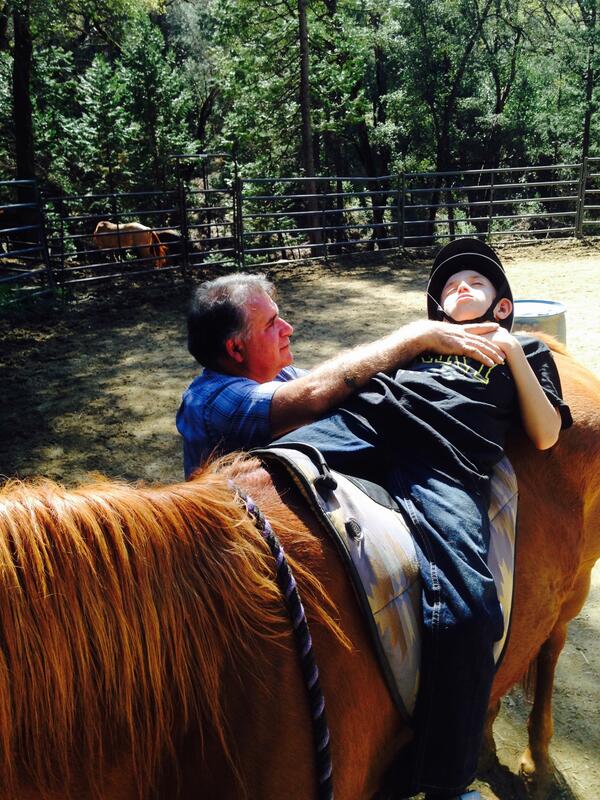 Of course, spending time with horses is great for anyone, at any age. 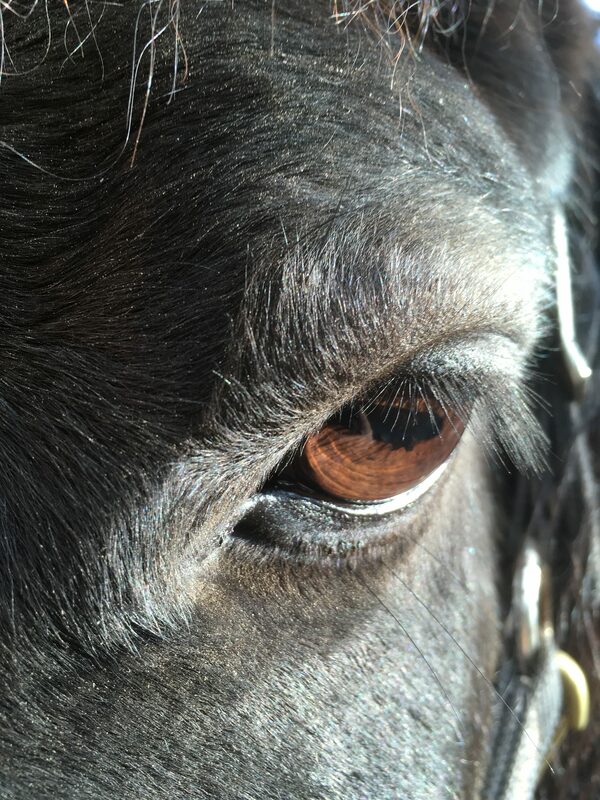 Because children are still forming their ideas about the world and are thus so malleable and pure in many ways, the impact of time spent working with horses can have a lifetime of beautiful implications for them. Working with horses is an incredible way to be active and spend time outdoors. In a society and culture that favors sharing time with television, the internet, and video games, “horse time” is clearly a better choice for our youth. Kids learn a sense of deep and sincere respect when working with a massive animal who is interacting with them in a pure and unfiltered way. They also learn to take responsibility for their actions as they experience the effect of their behaviors on the horses they interact with. There is an incredible sense of accomplishment and building of confidence that comes with learning how to communicate and interact with a horse. What a powerful experience for a young person to realize their impact on such an amazing creature. Children learn to become better observers (like our equine friends) and to “think on their feet” around horses. The connection that occurs provides so many rich, teachable moments regarding problem solving and communication both verbally and non-verbally. Goal-setting and decision-making are also skill sets that can be encouraged through work with horses using exercises and activities specifically designed to facilitate this kind of learning. 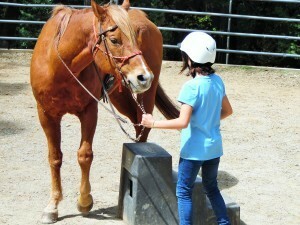 Children’s sense of empathy can be nurtured as they are involved in the care of a horse. While kids can be innately self-focused, the impact of caring for another being’s needs can have a profound effect. Riding and working with horses improves children’s focus, which will translate to the classroom. 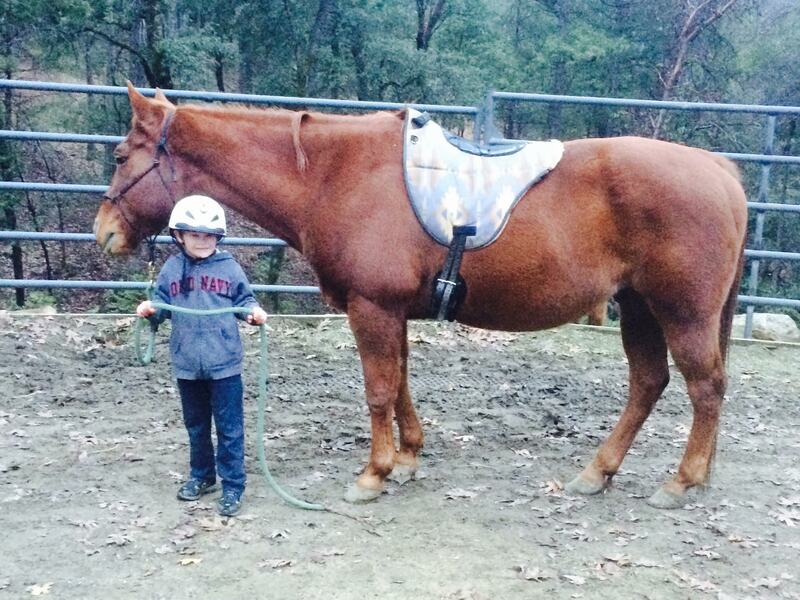 Kids can learn to be excellent leaders with horses. As we’ve shared in a previous post, establishing a respectful and healthy sense of leadership with a horse is both positive and crucial in regards to working with them. Teaching a child to step in to this role provides a skill set that can impact the entire course of their lives. Lastly, working with horses can give children another “language” to express themselves in and, if necessary, to navigate through any emotional challenges they may be experiencing. 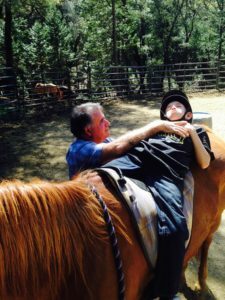 With the right care and facilitation, the time spent with horses can provide the powerful healing experience that unfortunately some kids are starving for. 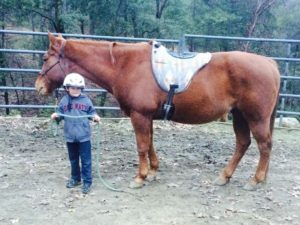 While this isn’t an “all inclusive list” of all of the benefits that horses hold for kids, it does identify some powerful aspects of children’s lives that can be impacted. What an incredible gift to give a young person- the opportunity to have an experience that they will carry with them for a lifetime. We here at Red Moon Ranch are so grateful to be able to provide a safe and fun place in which this kind of magic can take place. We consider it an honor to facilitate and witness the impact of time spent with horses on children’s lives, and we’d love the opportunity to share this with your family and little ones. We’ll see you at the ranch!